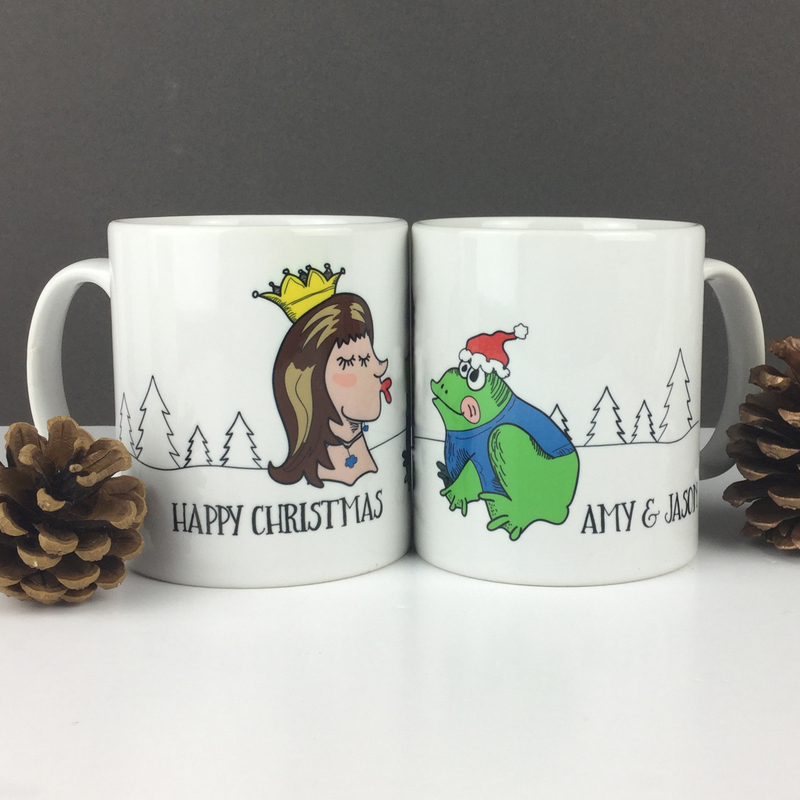 The perfect mug for a fairytale couple to celebrate their first Christmas - a princess and frog kissing and living happily ever after! 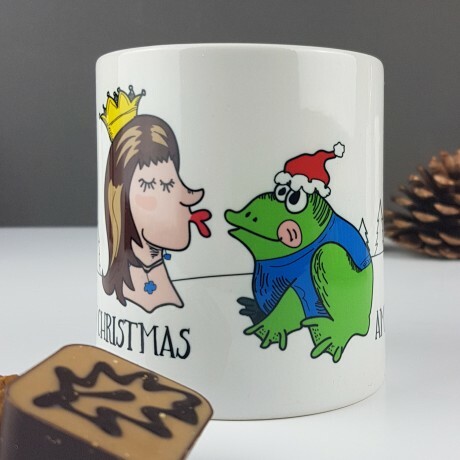 This is a humorous, funny mug which is bound to raise a smile - a unique Christmas gift for any engaged couple, married couple or for a Christmas anniversary. The princess can be personalised with different hairstyles, hair colour and skin tones to make this even more special. 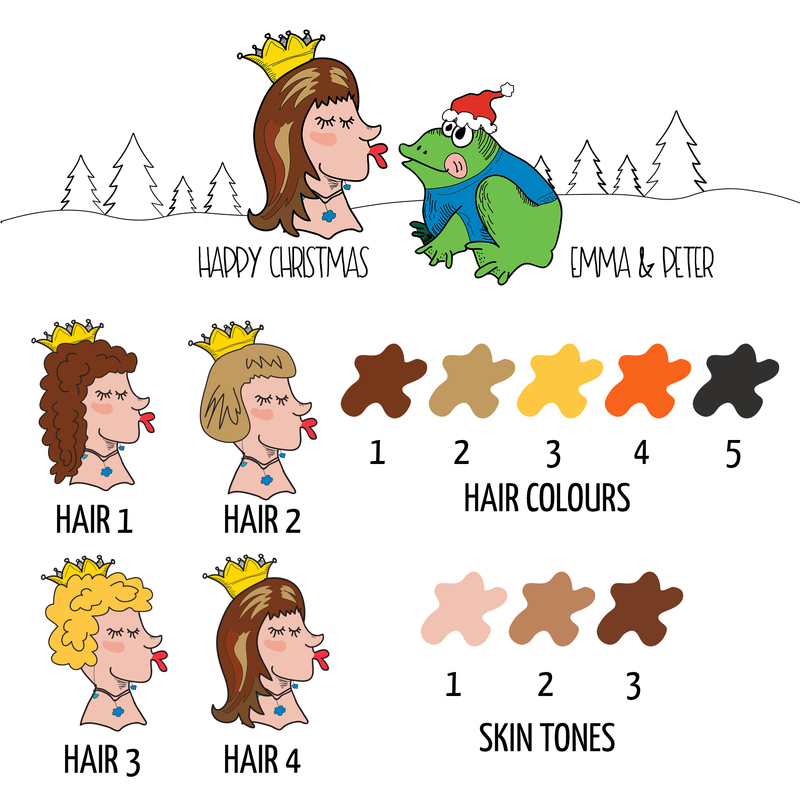 And the frog can sport a favourite colour on his shirt or no shirt at all! The mug is made extra sepcial as you can add your own message which appears at the bottom, just let me know on the order form. Perfect to enjoy a cup of coffee or tea, a slice of Christmas cake and float off into fairy land!